One of my Haaretz blogs several months ago told the stories of two individuals who left the Orthodox fold. 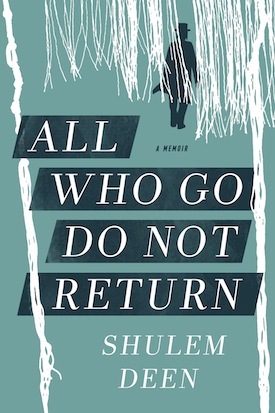 This past June, I nearly swallowed whole the new former-Chassid memoir everyone was talking about: Shulem Deen’s All Who Go Do Not Return. I then caught up with Shulem by phone, where we spent two hours musing about Talmud and kabbala, faith and questioning, whether the concept of dogma can be expressed in Chassidic Yiddish, what he sees when he revisits the film The Chosen and whether he still loves Beethoven, the first movie he ever saw (he doesn’t). Those who have read the memoir or the press coverage of it know that, after he was declared a heretic, his Skverer Chassid community in New Square, N.Y., excommunicated him. Along with their five children, his wife – still a firm believer – moved with him to the nearby town of Monsey, before his marriage ultimately dissolved. He now lives in Brooklyn and is on the board of Footsteps, an organization dedicated to helping former Chassidim adjust to secular life. Tragically, his children refuse all contact with him. Shulem described what it was like to lose faith. “Once my faith fell apart,” he told me, “my worldview fell apart…. If one of these [principles] is not true then what is true?” Shulem likened it to existing in a Matrix-type world, or being a character in The Truman Show. 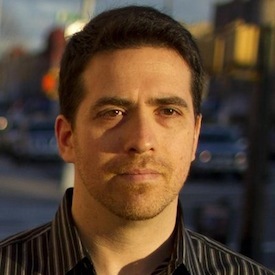 He studies Talmud weekly, approaching the text as “literature,” as he puts it. Neither is he dismissive of Yiddish – the language that has effectively kept many Chassidim ignorant of English: another barrier to engaging with the secular world. Yet he enjoys reading Yiddish writers such as Sholem Aleichem, Chaim Grade and Isaac Bashevis Singer, and even grants spoken Yiddish press interviews as the need arises. Where he draws the line is dogma. Community-instilled religious dogma is what arguably led his children to reject him. Shulem is insightful about how things unfolded. “When a child is taught that his parent is wicked … what the child feels … is shame,” Shulem writes in the book. And, from this shame, comes a desire to distance oneself from the perceived source of the shame. It’s enough to make any parent rage forever into the night. But, as a writer, Shulem was careful to contain his anger, feeling that deploying that emotion “would have impeded” the reader’s experience. I was touched by Shulem’s ability to still be able to glimpse goodness in a system that had oppressed him; perhaps this is the definition of open-mindedness, that rare commodity among the ultra-religious. Indeed, the broad themes of the film continue to speak to him. Given the increasing porousness between Chassidism and the outside world due to the march of technology, “people are testing the boundaries and trying to see what is possible while staying within the community,” Shulem said. And, while his book recounts his struggle to do just that, via a primitive AOL internet hookup, a job in Manhattan and – something he relayed to me – taking his daughters to the public library, his world eventually imploded. Part of this was due to the feeling that the ground was opening beneath his feet. And part of it stemmed from a problem all too common in modern life: basic marriage incompatibility. To a non-Chassid, Shulem’s story is a fascinating glimpse into a hidden world, just as it is ultimately a universal story about the pursuit of personal truth, the attempt to be open-minded in a close-minded world and, ultimately, the bitter inability to control what others believe about the righteousness of one’s path.